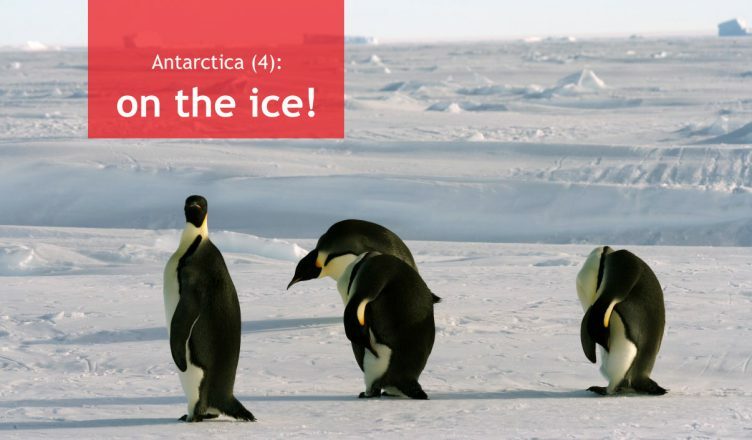 Antarctica (4): on the ice! I am a lucky man, in more than one sense, and I love the life I’m living. I am so lucky that I can live it with my fantastic wife and daughter and travel the world with them. Travel has given us so much joy and long-lasting memories. However, I must admit I personally have also been given quite a few unique travel opportunities in the past. I used to work as a marine biologist at Ghent University (Belgium). When I started working at the Marine Biology research group, I somehow managed to find one of the most exotic subjects for my master’s thesis and PhD: coral reefs, both in cold-water and tropical areas. Those four years of shiptime (North Atlantic Ocean) and snorkeling (Indian Ocean) were amazing. I’ve always loved tropical regions for their high biodiversity and general abundance of life. And because the weather was great as well… It was a privilege to work in such a sublime environment. When my PhD research was finished and defended in 2006, my promoter offered me a position in a new project: one on biodiversity in Antarctica. Less exotic maybe, but definitely a lot more unique. 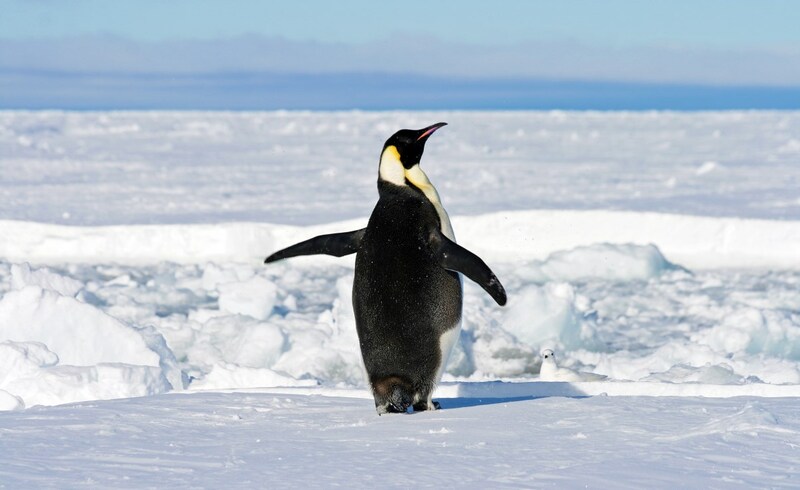 The Antarctic is still unknown territory for most travelers and if you want to go there, it will cost you a lot of money. I can honestly say that I could never have reached this icy continent at my own expense. 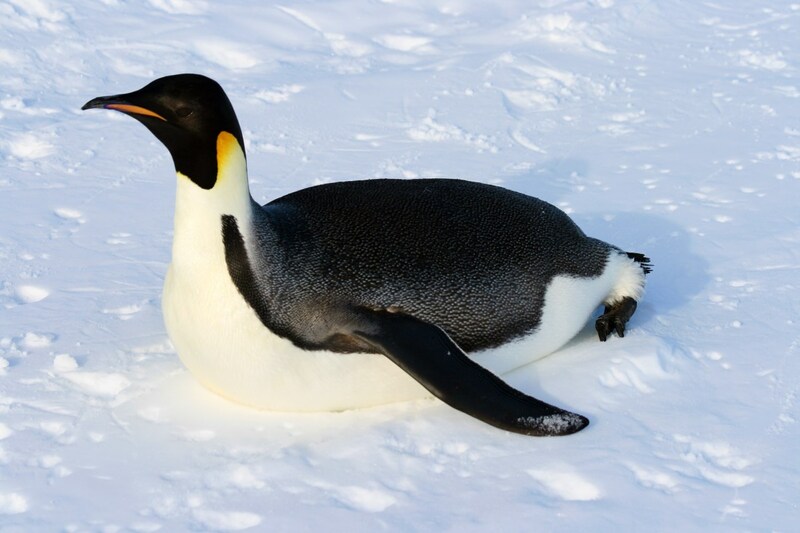 I embarked on my Antarctic adventure with the German RV Polarstern in the fall of 2006. I was at sea for 3 months and every single day of that trip was amazing. A few years ago I started a series of blog posts about this journey, but I haven’t written anymore since June 2013. Now, three years later, I finally intend to finish this series. Where were we? I had just arrived at the German Neumayer Station and had taken my first samples of sea bottom fauna. 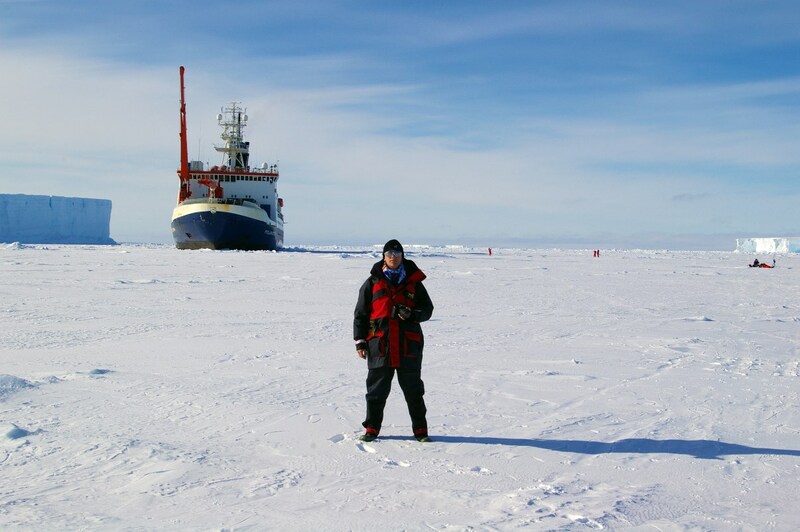 The ship was waiting next to the ice shelf edge and I was waiting to go onto the ice shelf to help providing the station with fuel and other resources. In the end, I was told it wasn’t needed anymore. Frustrating! The next day, ice conditions around the ship had deteriorated, which meant that it had gotten a lot thicker and we were in danger to get stuck in the ice. 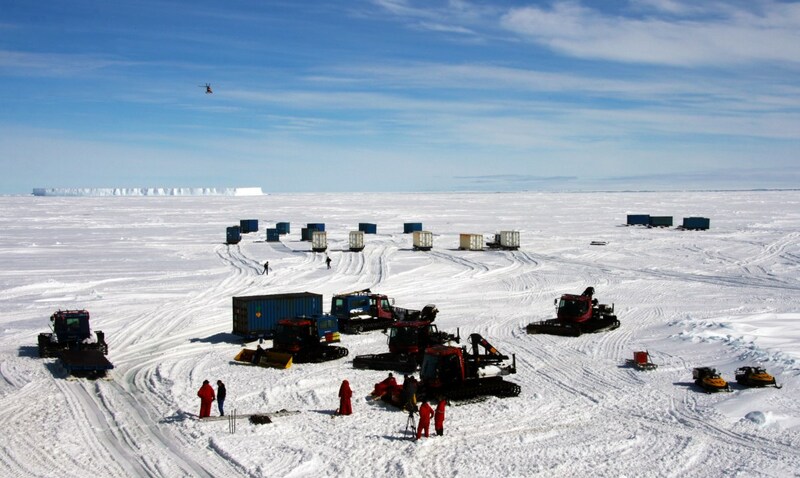 Snowscooters and snowploughs, arriving to collect resources for Neumayer II. 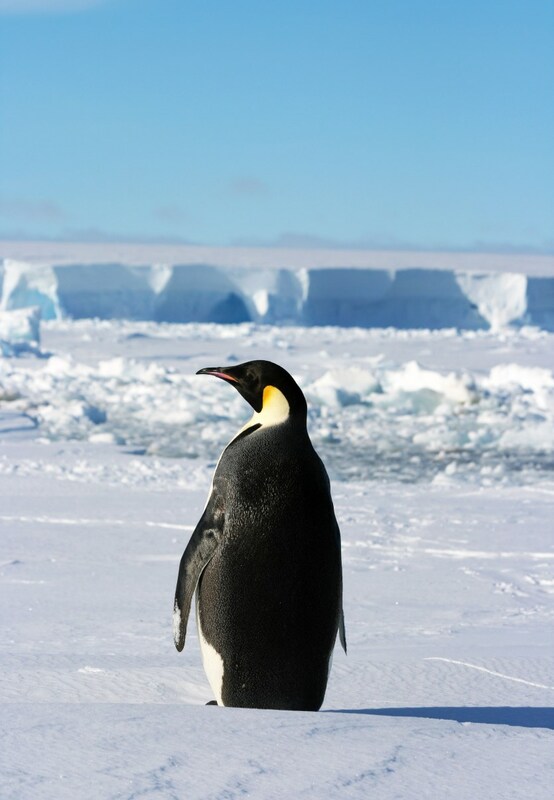 My first time on Antarctic ice, and this was such a special moment! I even took a small sample of the snow. Blue skies, a very bright sun and the albedo effect made it very hot underneath my fleece shirt – field salopettes – field jacket combination, and I could feel the rays of sunshine burn on my skin (thank God for sunblock!). 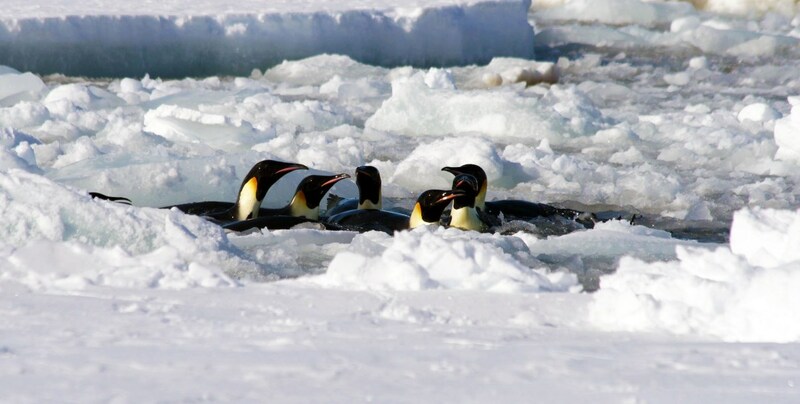 The ice was packed with penguins, so everybody was frantically taking pictures. These birds were so curious they just came gliding towards me, rose on their feet with a loud yell and started observing my movements. 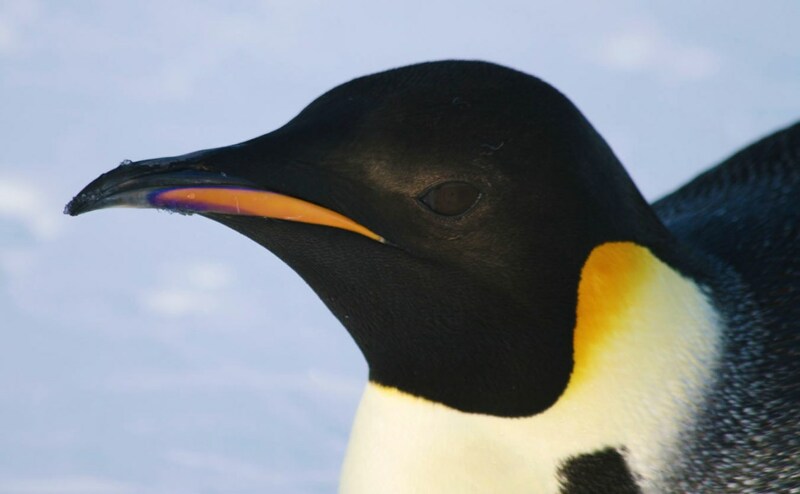 Close-up of a penguin’s head. 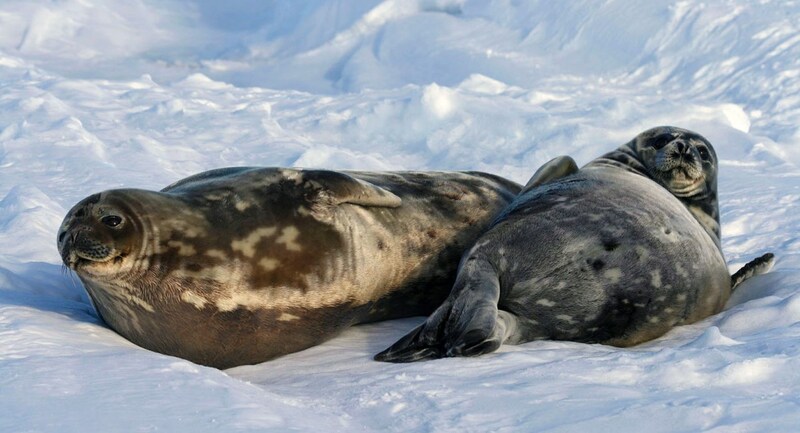 A few meters behind the ship, two snow petrels were quietly sunbathing on the ice. I started taking lots of pictures until all of a sudden a giant black-and-white blur stepped into my frame… It was a nosy emperor penguin, leisurely checking out what was going on with the snow petrels. The smaller birds did not at all appreciate the gesture and started shouting loudly at the penguin, who didn’t really care. So the petrels finally took off. This scene in front of us, a large research vessel stranded in a sea of ice, was so impressive and a bit out-of-place that everybody just had to take pictures from all angles. 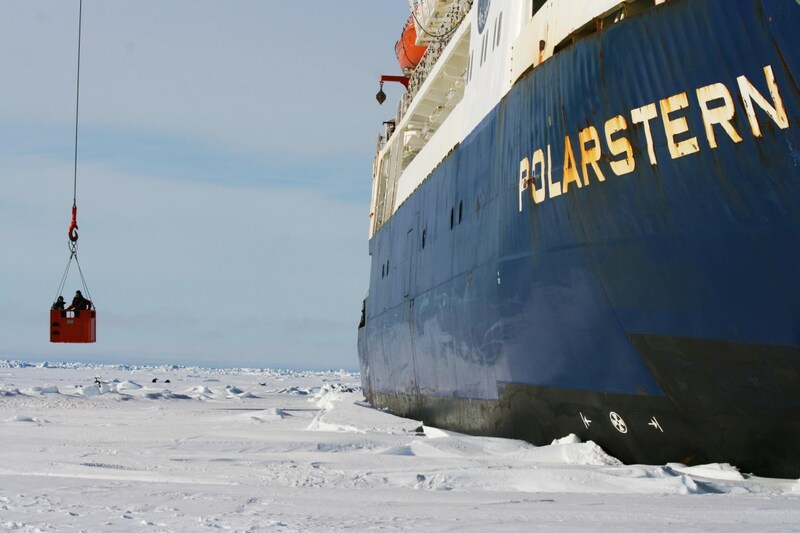 Polarstern, almost stuck in the ice. “”‘Ding Dong’ Message to all scientists: shuttles to Neumayer Station will commence this morning.” I was due to go on the shift of 11AM, but when I was finally ready to go and had filled in all necessary administration in order to be allowed off the ship, the helicopter had already left without me. So far for shifts; it was more like “first come first serve”. Fortunately, half an hour later I was finally seated in the heli. (…) What a spectacular flight! It was difficult to take any pictures, but all that swerving and skimming over the ice was really big fun. View from the helicopter: what a landscape! 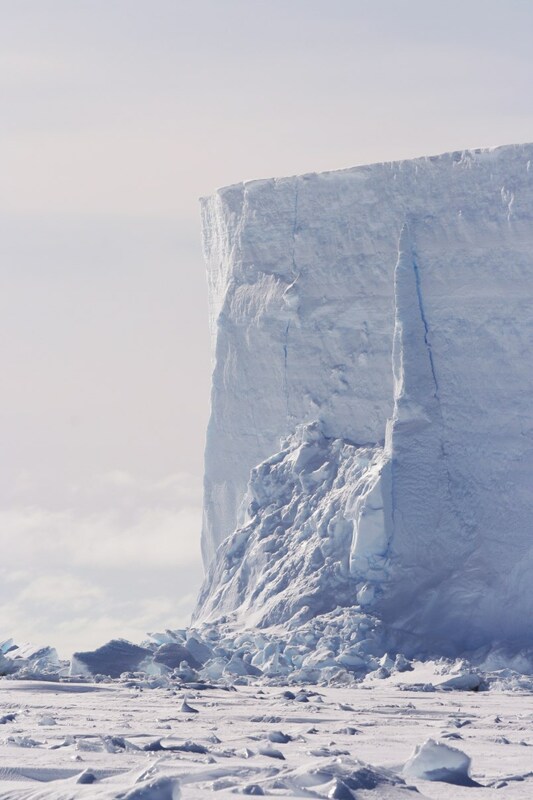 Visiting Neumayer shocked me a little bit, as it wasn’t what I had imagined. A few antennes, two “small” towers and a row of containers (living quarters for summer guests) are the only features above the ice. 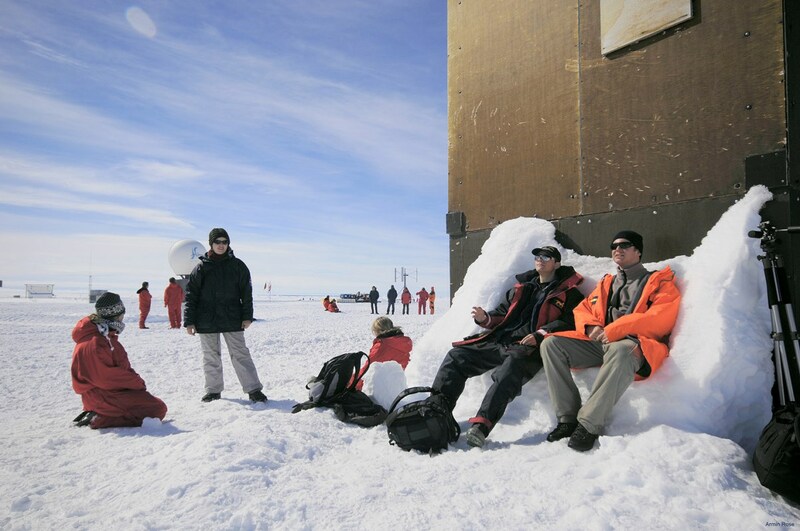 The towers turned out to be 12m in height, but they had been gradually covered with snow and ice over the last months. 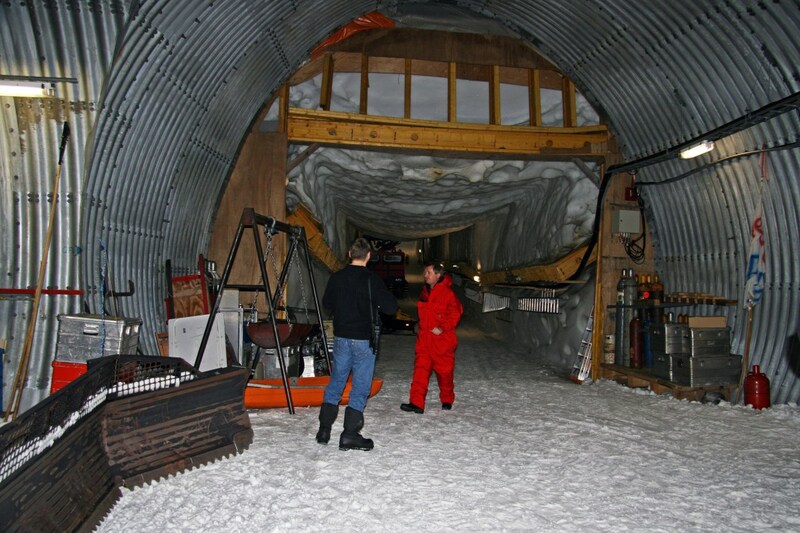 They are the entrance and exit points for this research station, which is completely covered by ice. 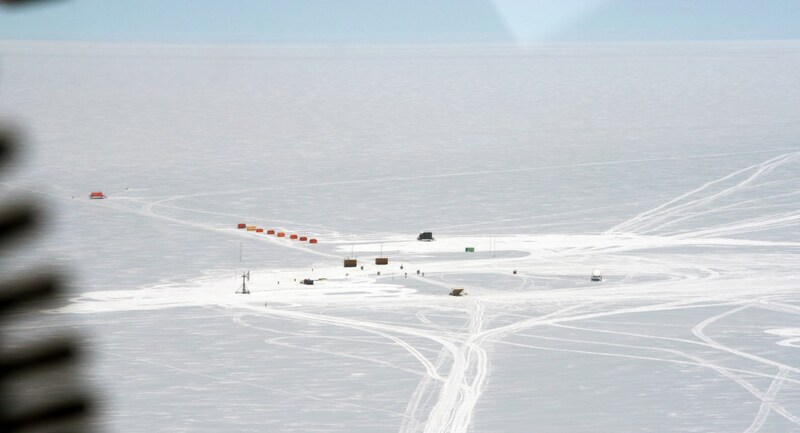 Neumayer station, above the ice. 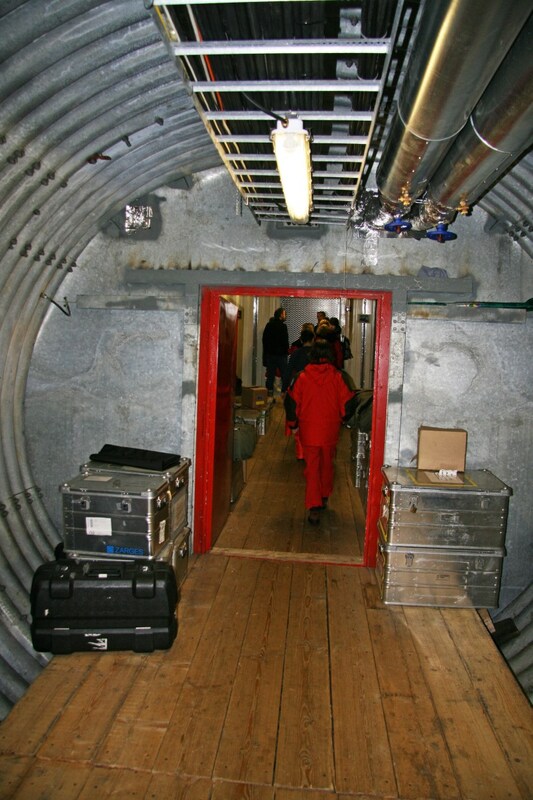 A research station built inside the ice. 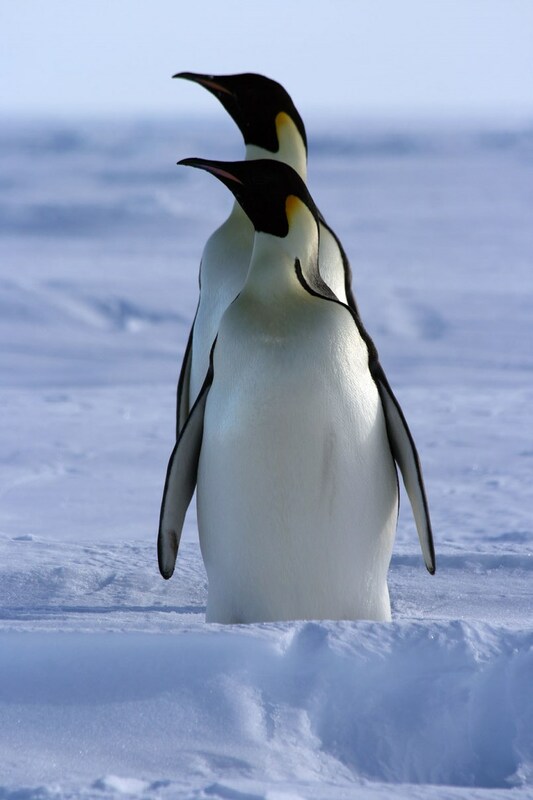 I think I can honestly say these must have been two of my most memorable moments in the Antarctic. 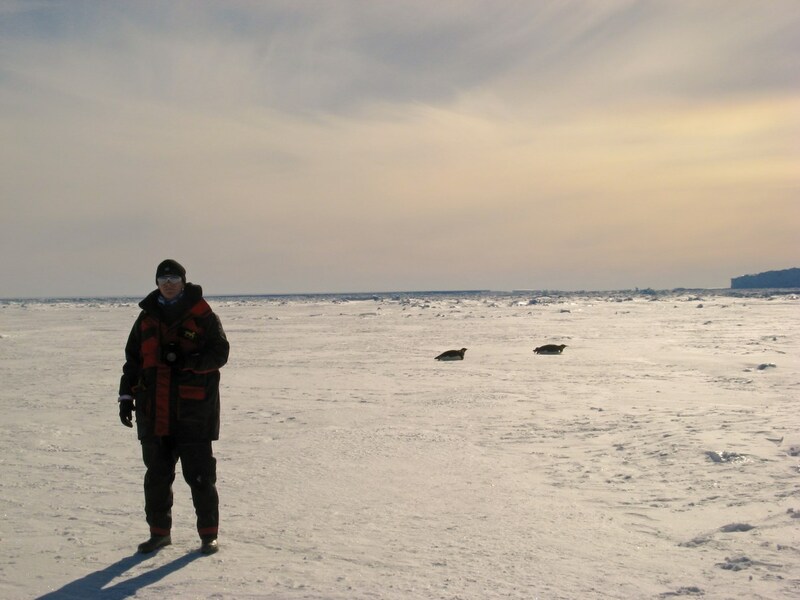 Being so close to the penguins and seals, the spectacular helicopter flight and especially the deafening silence when on the ice: impressions I’ll never forget. 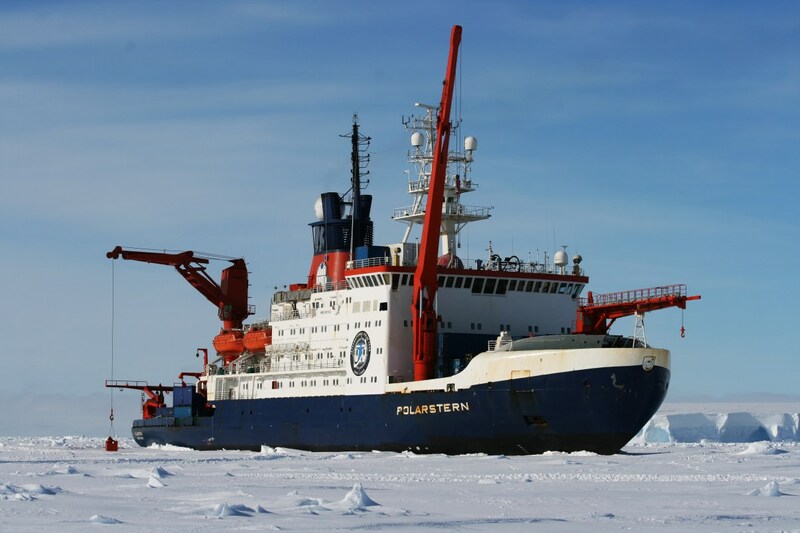 I visited Neumayer II on Atka Bay, a permanent German research base of the Alfred-Wegener-Institut, the same research centre that owns the Polarstern Research Vessel, and the organizers of this expedition. 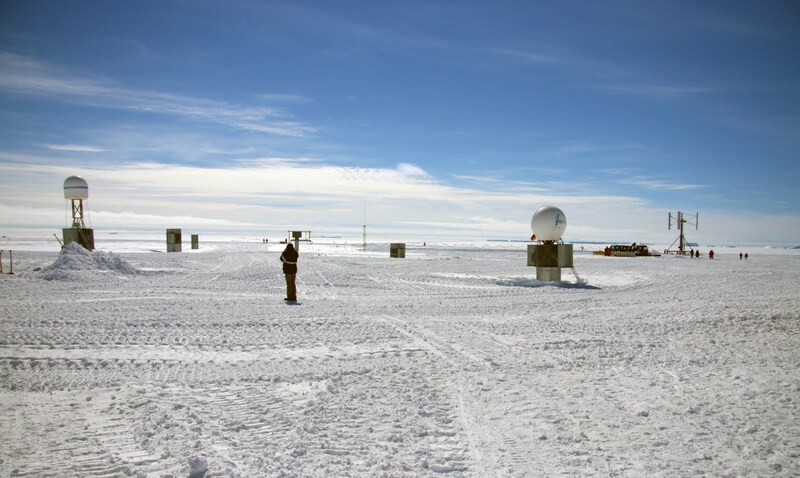 The station has since been replaced by the Neumayer III base in 2009, because Neumayer II was too much deformed by snow pressure and ice movement that it had become uninhabitable. The next post will be about reaching the Antarctic Peninsula and finally starting my work: collecting mud samples for the analysis of microscopic life! 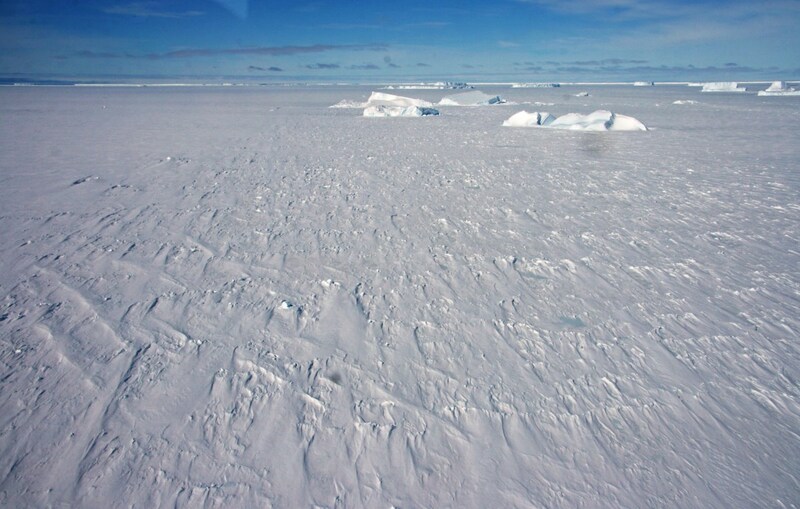 Antarctica (5): The Antarctic Peninsula and finally some sampling! Antarctica sounds incredible. What an amazing experience! It was just perfect! I really feel lucky that I was given this opportunity.